When my grandson, Joel, got engaged, I decided to jot down a few words of marital wisdom for him, based on my vast experience as a husband. Then I thought, why share this wisdom with only one person when I can share it with the world. 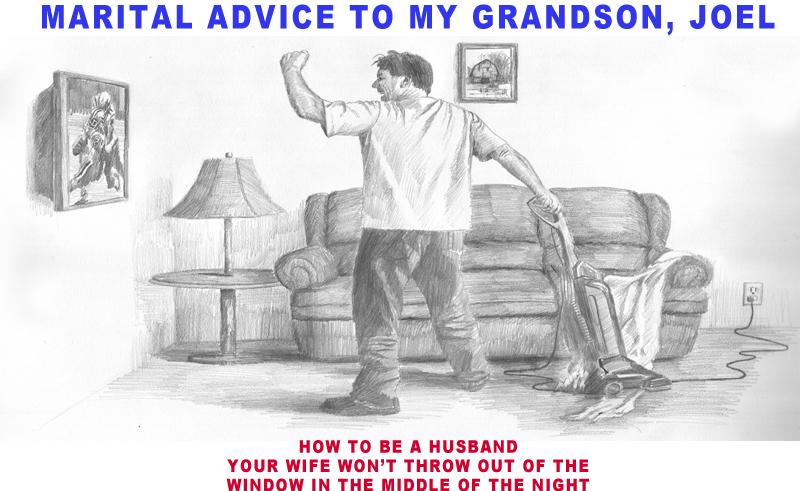 So, I started a blog, maritaladvicetomygrandsonjoel.com. Sure, much of the advice is off-the-wall, wacky, and offbeat, but it's also an upbeat, humorous, look at married life that any engaged couple, newlywed, long-married person, or single person will find insightful and fun to read. Abby - You're perfect as you are—Don't change a thing. and wisdom you can get. Love your candor and your humor! Keep up the posts! Live your humor and your approach in giving this great advice. !